These presentation slides 28760 are complete compatible with Google Slides. Simple download PPTX and open the template in Google Slides. 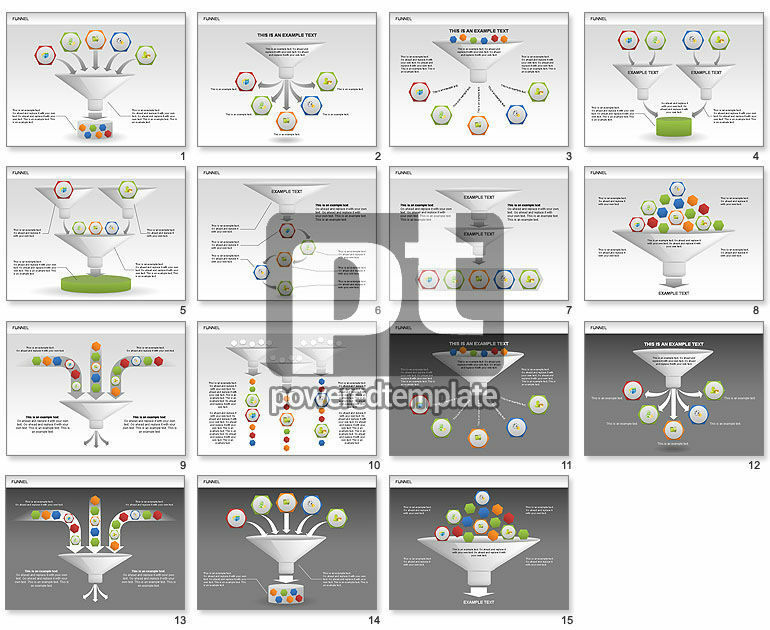 Set of diagrams with funnel on it will be perfect for presentations on mergers and acquisitions, new resources usage, processing component, new products component, etc.